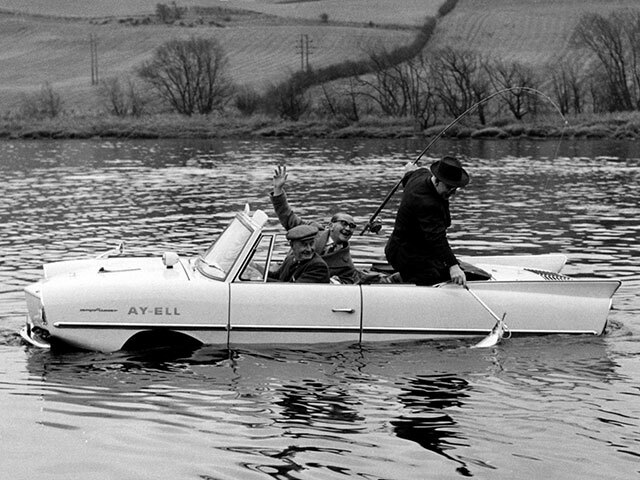 It had a top speed of 70mph on land. 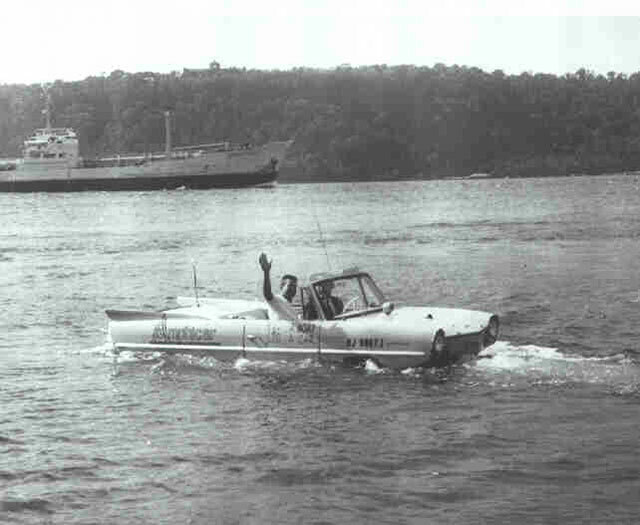 While in the water it utilized two rear propellers to reach a maximum speed of 6 knots – about 7mph. 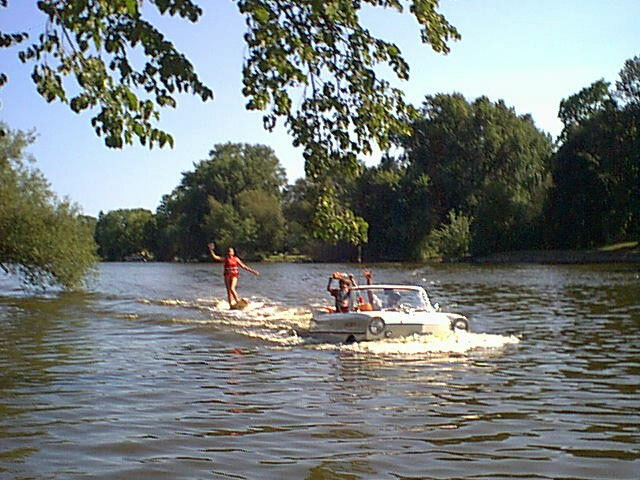 The front wheels acted as rudders. 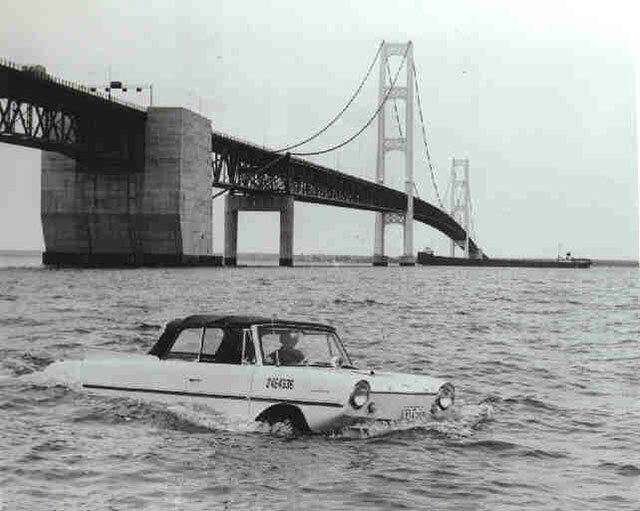 Still, it is considered one of the more successful land-to-water vehicles ever made. 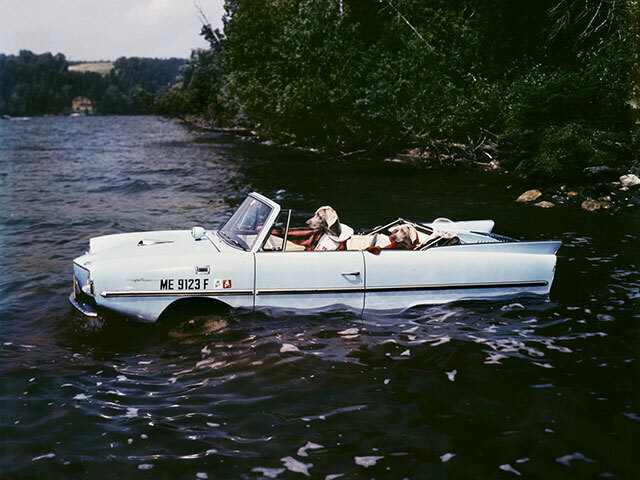 It is also the only non-military amphibious vehicle to be mass-produced. 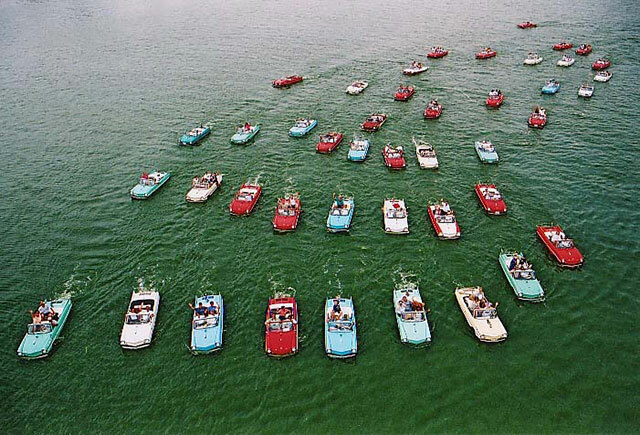 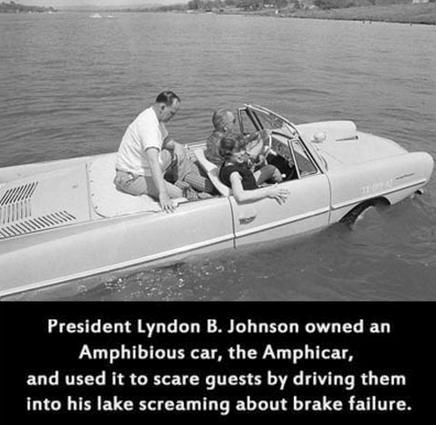 President Lyndon B. Johnson enjoyed taking visitors downhill in his Amphicar toward the lake on his Texas ranch, shouting that the brakes had gone out. 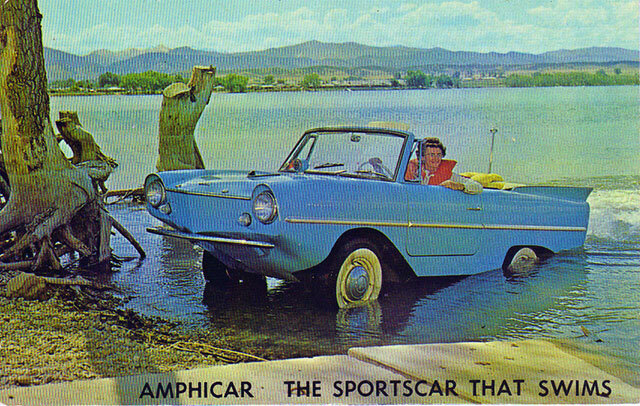 To utilize your Amphicar to the fullest, it would have to be licensed as a boat and a car.